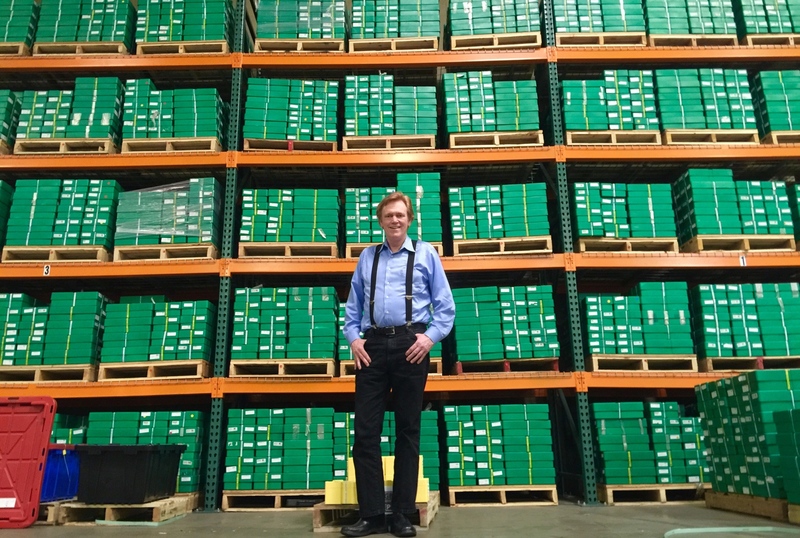 GoldSilver has made a splash in the industry with our new allocated storage program. The GoldSilver allocated storage program is extremely secure and surprisingly affordable. It’s outside of the banking system, and eliminates the worry of keeping it all in your house. But didn’t Mike used to recommended segregated storage? To understand the value of segregated storage, first you have to understand allocated, as segregated is just its big brother. Let’s say you bought 10 gold Eagles from a dealer and want to store them in a private vault. Your dealer mails the package containing your 10 coins directly to the vault you designate. When the storage operator receives the package, they will open it and inspect the contents (done right, all handling from the door to the final shelf are under complete video surveillance, like they are at all of GoldSilver’s vaults). That’s where things start to differ. With an allocated storage program, those assets are then brought to the area of the vault exclusively used for GoldSilver or your other allocated storage “master” account. The metals are piled together with all other assets from that master, and the “sub” ownership to you is recorded electronically with both the vault provider and the account master, i.e. GoldSilver. They pick up any of the same year, same condition silver eagles to fulfill that order. So the coins you receive may not be exact ones delivered to fulfill your order, but they are the exact equivalent guaranteed. In the case of serial numbered bars, on which the weight can vary, even with allocated the exact ones you bought are the ones fulfilled. This keeps the processes of storage and fulfillment extremely efficient, yet the contents are always still one-to-one ownership (no shared claims, no pooling) and completely auditable. If the order is for segregated storage, it only differs slightly. Once opened and verified, the package your metals arrived in is typically resealed with a security wrap and tamper-proof tape and security tag. Those exact metals that were shipped in then have their security tag logged in the system, and are placed on a vault shelf or security drawer near all other segregated assets. The sealed wrap serves to segregate the assets, ensuring that what was sent is what is returned – not just an equivalent item, but the exact same one every time. As you can surmise, segregated involves a lot more manual labor, and takes up a considerable amount more space for all those secured containers. All the extra overhead means we have to charge higher minimums for segregation, as there is little economy of scale. If you are dealing with collectible coins, then you will want to insist on segregated storage. There is a big difference in price for a minor difference in quality for numismatics, and thus substitution could affect the value unlike standard investment-grade bullion products. If you had to mail in metals that left the chain of custody, i.e. were stored at your home or elsewhere beyond the closed loop of certified wholesalers and vaults, your account master or vault will probably insist on segregated storage. However, as Mike points out, allocated storage is just as secure as segregated. In fact, GoldSilver’s allocated storage program uses the very same vaults as segregated accounts. To be clear, allocated is very different than unallocated or pooled storage, where you don’t own specific coins or bars but rather just have a general entitlement to a certain amount of gold. Typically you share a fractional portion of a large gold or silver bar with other investors. Which is why if you want delivery, you’ll have to pay for “fabrication,” which usually means the dealer is going to market to buy you coins with your own money, or paying a refiner to make something out of scrap they keep on hand (since they cannot make it from the bar others own pieces of). This is pricey and could be subject to delays or even unavailability in a supply crunch. Allocated metal is legally yours; what you bought is in your name and off the books of the vault operator. You can request delivery anytime, and you don’t pay for fabrication because you’ve already purchased fabricated product. Better still, were the company holding your allocated metals to go out of business, in that event you could claim your metals directly from the vault. Good luck getting your metals when a pool provider sinks (pun not intended). And because you’re taking up less space in the vault, allocated storage is cheaper. So what type of storage does Mike recommend most investors use? Segregated storage is best suited for those with large holdings, corporate security or escrow requirements. The average investor should use allocated storage—it’s just as secure, and is much more affordable. GoldSilver’s new allocated storage program is extremely secure and surprisingly affordable. It’s outside of the banking system, and eliminates the worry of keeping it all in your house. Do what Mike is doing and open an account today.